The long-awaited update to Ice Cream Sandwich and Sense 3.6 on the Sprint-branded HTC EVO 3D is finally here! The update weighs in at 305.76MB and bumps the software version up to 2.89.651.2, beating Sprint’s latest announcement of an August release by one day. 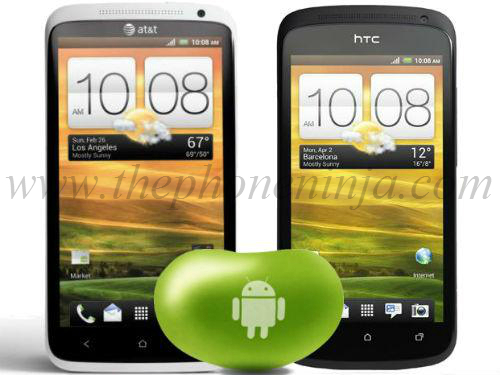 To check and see if the update is available for your phone, just hit Menu > Settings > System updates > HTC software update. Of course, the general warnings for root users still apply here (i.e., if you’re rooted, don’t take this update – wait for a rooted version to come along). In addition to today's release of the core apps and LunaSysMgr for Open webOS, we got some news that's both surprising and heartbreaking: Open webOS will not support existing webOS devices. According to today's blog post on the Open webOS Project Blog, the development team is "aiming for support on future hardware platforms where SoC's [system-on-chips] support Linux 3.3+ lernel and where open source replacements for proprietary components are integrated. Existing devices cannot be support because of those many proprietary components, including graphics, networking and lack of drivers for a modern kernel". Feel like you just got punched in the gut? Yeah, us to. Despite being a modification and enhancement of the existing webOS, Open webOS will not be able to support any existing webOS devices, including the most-recently-released TouchPad and Pre3. Reasoning? Their processors don't support the Linux Standard Kernel nor are there complete open source replacements for hardware component drivers. If you were hoping to run Open webOS on your TouchPad, you're going to have to rely on the community to get it done, not HP. We're not at all thrilled with this decision. HP already has access to the proprietary drivers for the TouchPad, Pre3, and a whole slew of webOS devices and could put together a release of Open webOS for those devices. But yet again, HP's made the decision to neglect off a small but loyal customer base in favor of pursuing bigger dreams. We understand that the resources available to the Open webOS team are limited - certainly much more limited than they were eighteen months ago when HP decided not to bother finishing a webOS 2.0 update for older Pre and Pixi devices and buried it under the news of the TouchPad, Veer, and Pre3 announcements - but this pattern of dumping on those who have stuck with the platform isn't the makings for continuing loyalty. People love webOS, but they can only put up with being slighted for so long. As pointed out in the blog post, there is at least the webOS Community Edition release for us to tinker with for existing devices (i.e. 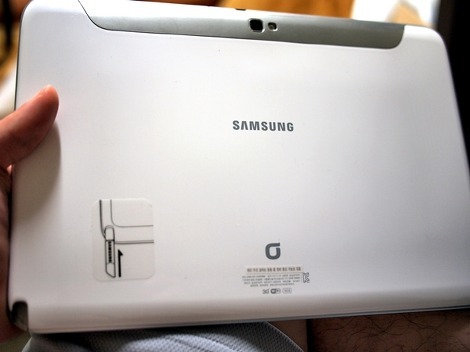 the TouchPad), which included the older version of the LunaSysMgr as released in webOS 3.0.5. Today's announcement crystallizes the Community Edition's reason for existence: it was a pre-appeasment meant to be there, ready for this news, so HP can say, "But we already gave you that! Isn't that enough?" There are two things to keep in mind moving forward. One: there's a large and growing number of Android devices out there that offer support for the Linux Standard Kernel 3.3, and given the number of devices supported by the open source CyanogenMod Android project there are plenty of drivers available for those components. Two: The webOS homebrew community cannot and will not be held back. They've already started working on the webOS Community Edition release of LunaSysMgr to see how well they can get it to work on the Pre3, and it'll only be a matter of time before they figure out how to get the goodness of Open webOS to work on our current webOS devices. In typical Open webOS team fashion, the releases for this month have come right at the very end of the month. While the System Manager Bus saw an early release back in April, this month's releases didn't come before their time. Up for July is the LunaSysMgr and the core webOS apps. For the uninitiated, LunaSysMgr is the system manager for webOS, responsible for the launcher, card view, menus, running WebKit, and rendering Enyo applications. In other words, it's kind of a big deal for webOS. The core apps include Accounts, Calculator, Calendar, Clock, Contacts, Email, and Memos, and are all the Enyo 1.0 versions of those apps (minus some features) as they debuted on the TouchPad. On the LunaSysMgr front, the big news is both the open sourcing and the inclusion of the QtWebKit engine for "state-of-the-art support for HTML rendering and I/O". Using QtWebKit is said to provide for improved stability and performance in Open webOS. Apart from that, it's not radically different from the existing LunaSysMgr in webOS 3.0.5. As for the core apps, they're a little handicapped at this point (not that there's much you could do with them). Even though the Accounts app was included in today's release, the services needed to enable Synergy haven't yet been open sourced, meaning you're severely limited in how the apps that rely on outside services can be used. For example, Contacts and Calendar can manage on-device contacts and events, and Email can hook up to POP and IMAP accounts, but none of them can sign into services like Google, Yahoo, or Exchange. Synergy support is expected with the beta release of Open webOS 1.0 later this month. Things are starting to pick up steam with Open webOS as we approach the full release of the open source successor to webOS. As we move into August we can expect the build release model and the beta and final releases for Open webOS. From there, well, that's another story. 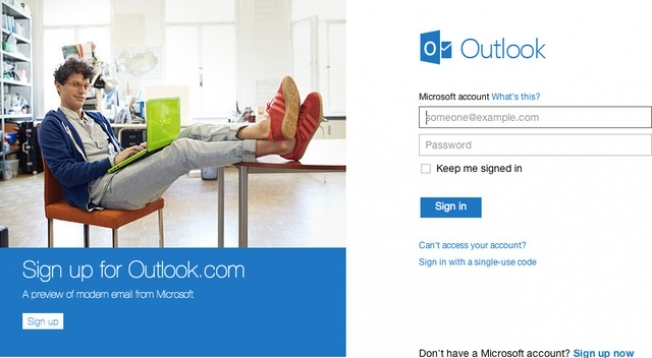 On Tuesday Microsoft’s Outlook Blog took the wraps off of Outlook.com, a new online email portal that cleans up the traditional inbox user interface and adds several social networking features to the mix. On the inbox side, Outlook.com automatically detects emails that are newsletters and puts them into their own separate folder while also giving users the option to easily stop receiving newsletters with a one-click “unsubscribe” button. The new inbox also allows for message “sweep” operations where Outlook will only keep the very latest message from a given sender and will delete all previously sent messages. For months now we’ve been working closely with our developers and carrier partners to provide users a way to to unlock the bootloader on their Motorola Mobility device while keeping the networks secure and satisfying carriers’ requirements. And we’ve finally found a solution. Starting with the Motorola PHOTON Q, users will be able to unlock the bootloader. Other products will have this option too in the future. Motorola PHOTON Q will be available on Sprint in August. Specific details on unlocking the PHOTON Q’s bootloader will be available then. 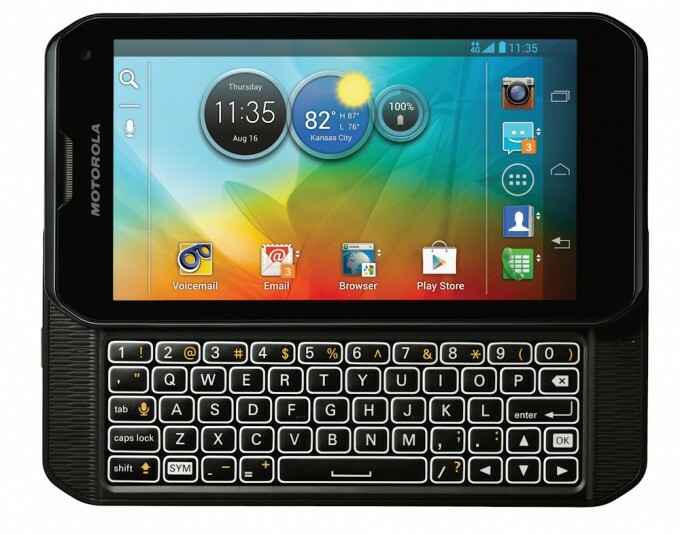 Sprint has made an official announcement of the Motorola Photon Q. Here's a quick rundown of the specs. Rear-facing 8MP camera with 1080p video capture and playback so you can leave your digital camera at home. Plus, those photos can be set to automatically upload to Google+ so you don’t have to worry about accidently deleting them. Mirror mode when connected with HDMI cable (sold separately) to view images, files and movies on a larger screen, like your TV at home. 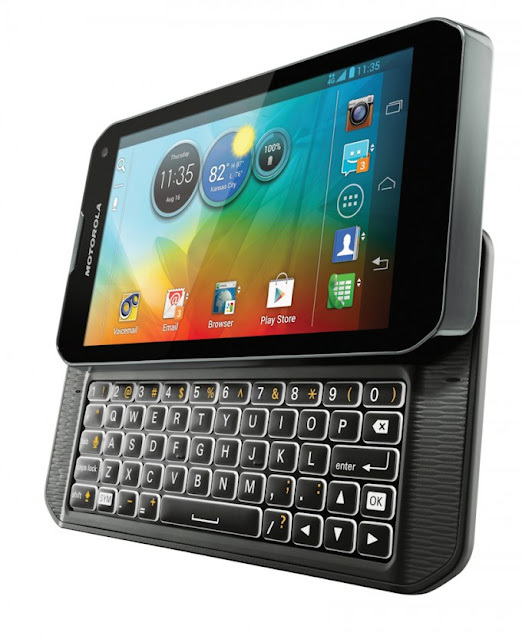 First Sprint 4G LTE-Enabled Device with Full QWERTY and International Capabilities, Motorola PHOTON™ Q 4G LTE, Coming Soon. OVERLAND PARK, Kan. & LIBERTYVILLE, Ill. (BUSINESS WIRE), July 26, 2012 - Sprint (NYSE: S), the only national wireless carrier offering truly unlimited data for all phones while on the Sprint network1, and Motorola Mobility today announce Motorola PHOTON Q™ 4G LTE, the next generation of last summer’s popular Motorola PHOTON™ 4G. The new device will boast a five-row, PC-like QWERTY keyboard, international capabilities and a generous 4.3-inch ColorBoost™ display, as well as the ability to operate on Sprint’s new lightning-fast 4G LTE network2. Pricing and availability for Motorola PHOTON Q will be announced within the next few weeks. Customers seeking additional information can visit www.sprint.com/photonq. Motorola PHOTON Q equips customers with the best of both worlds to communicate – a virtual keyboard for quick texts and a slide out PC-like QWERTY keyboard for double-thumb efficiency. Each laser-cut key is outlined in LED lights so users can see what they’re doing, even in the dark. It also has a dedicated number row for maximum typing efficiency and accuracy. Offering an impressive 4.3-inch ColorBoost™ display, Motorola PHOTON Q offers the largest screen currently available on a 4G LTE QWERTY smartphone. This makes it easy to browse the Web using Google Chrome without enlarging text, look at detail-rich pictures without having to zoom in, and watch a show without straining your eyes. Motorola’s exclusive ColorBoost™ display enables colors to be richer and more vibrant than other smartphones on the market. 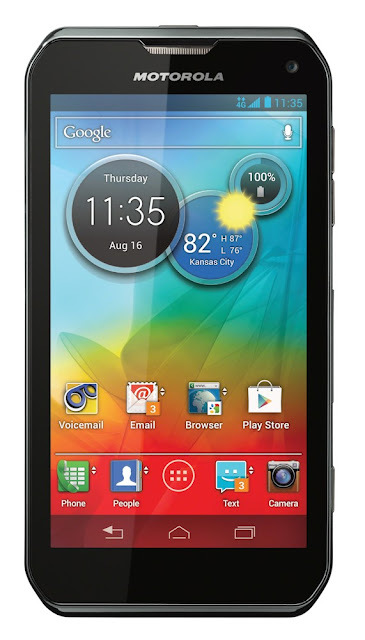 And with scratch-resistant glass and splash-guard coating, Motorola PHOTON Q resists everyday scratches and spills. In addition to its technological prowess, Motorola PHOTON Q is the seventh device in the Sprint line-up to receive ULE Platinum Certification, the highest level of environmental performance recognized by sustainable requirements established by UL Environment and Sprint. Rear-facing 8MP camera with 1080p video capture and playback so you can leave your digital camera at home. Plus, those photos can be set to automatically upload to Google+™ so you don’t have to worry about accidently deleting them. Motorola PHOTON Q is the first Sprint phone to feature SMARTACTIONS™, the free Motorola app that helps extend battery life and intelligently automates routine, everyday tasks so that smartphones can do more for consumers. For example, walking into a meeting, SMARTACTIONS can turn the ringer to silent so an incoming phone call won’t interrupt the meeting. If the battery is low, SMARTACTIONS can automatically lower the display lighting to ensure the battery lasts longer. Motorola PHOTON Q is Business Ready with full corporate security including remote wipe, pin lock, and data encryption. It is one of several devices available with Sprint Professional Grade, a new designation for select smartphones that deliver enhanced security, device management and Exchange Active Sync capabilities to business users. Click here to learn more about Sprint Professional Grade designation. Additionally, by the end of 2013, Sprint expects to have largely completed the build-out of its all-new 4G LTE nationwide network – with an enhanced 3G network – covering 250 million people across the United States. The launch of these metropolitan areas demonstrates Sprint’s continued commitment to investing in its network through Network Vision. For the most up-to-date details on Sprint’s 4G LTE portfolio and rollout, please visit www.sprint.com/4GLTE. Google is launching along with Google Fiber in Kansas City. The hardware consists of a set of three small boxes two in a gray that is as nondescript as possible. That's not really a disappointment these are utility boxes, after all but it does mean you'll want to put these boxes in the corner instead of on your mantlepiece. The TV box is slightly more distinctive, it's a thin angular black box that's bigger than an Apple TV, but is still much smaller than you average set top box. It's is not hurting for I/O either, with a USB port on the front, and around back there's HDMI Out (and, interestingly, In), optical audio out, component A/V, coaxial, and ethernet. Since it works with a bluetooth remote, you can hide this box as well. You'll need one for each TV you want to hook up, and only the first one will come with the service for free. One other thing is free with Google Fiber + TV: a Nexus 7 Android tablet that can be used as a remote. The early version of the software we saw looks like a fairly standard set of television remote features, including a guide grid, multi-television control, streaming shows, and of course Google's favorite feature: search. The latter will allow you to set up "smart recordings" that will automatically save shows featuring, say, your favorite actor. 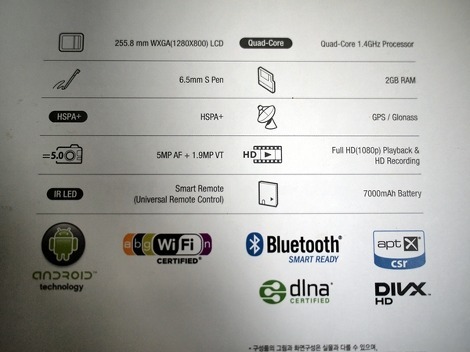 Interestingly, in addition to the Nexus 7 tablet, the service will come with a very standard remote control. The goal, Google tells us, is to make TV more accessible to those who are used to a traditional remote. To that end, there isn't a QWERTY keyboard on the remote, but it does work via Bluetooth so you won't need line-of-sight to use it. There is a very large search button in the center of the remote, which brings up a standard on-screen grid for you to slowly peck through. The TV software is not finalized either, but as of right now the initial release won't be integrated with Google Play for movies or TV. That's right: Google Fiber + TV isn't the same thing as Google TV and other than YouTube, it cannot access any of the Google Play content other Google ecosystem devices can: not music, movies, or TV. It also doesn't appear as though it is able to access the web directly. It can access what Google promises will be a very large library of video on demand content and should have access to content saved on your Google Drive. We're also a little concerned about the channel lineup, but perhaps Google will be able to score a few more content deals before going live. Those complaints aside, Google is pushing the state of the art for DVRs forward, allowing you to record up to eight shows at once and save a total of 500 hours of HD television. The interface we saw looked clean and easy to navigate, but we'll obviously need to spend time with the final version before we render a final verdict on it. We walked away from our time with the still-in-beta suite of products with cautious (and slightly confused) optimism. It's mystifying as to why Google isn't even making a half-hearted attempt at presenting a unified ecosystem here, instead presenting the same kind of service you can already get from your local cable provider. The same kind of service, that is, except for the stupidly fast 1,000MBps connection that powers it. Even though you may need to make some compromises in order to get that kind of speed, they seem small by comparison. Check-out the official Google Fiber website, and let us know what you think in the comment section below. Verizon and Redbox have been working together at least since February to bring an exclusive streaming movie service to big reds network. Happily called Redbox Instant. Alpha testing or the service is set to begin by this afternoon according to Fast Company. How it all works, the number of titles and the monthly cost for it are still being kept under wraps for now at least. With Redbox locations all over the place, it is feasible to believe that you will have an account that will link you to physical rentals, probably via a barcode on your device’s screen, as well as streaming options. Redbox does a fairly good job of bringing the latest DVD titles to their physical locations, we wonder how that will translate to digital streaming though as that is a whole new monster to deal with. If Verizon and Redbox plan to compete in the streaming media market, they are going to have to make sure they have a phenomenal list of content and be sure to make it affordable. Will they charge a buck per movie for one viewing or will they go with a monthly plan? We are extremely eager to find out how they put this out there. As Arstechnica points out though, there is already a red flag popping up that could cause some trouble in the future. That would be the constant fight for net neutrality. Since Verizon is also an internet provider with FiOS, they will need to be certain that they aren’t favoring Redbox Instant traffic over Netflix or Hulu. We doubt Verizon would put themselves in that sort of position, but we are certain it will arise more than a few times. Depending on the cost and the service they plan to release, how does a Redbox Instant streaming service sound to our Verizon friends out there? Be sure to check out the original press release by Verizon from February. Samsung's Galaxy Note 10.1 has seen a steady stream of leaks and design tweaks, and now it appears to have landed in the hands of one new owner. The Brave Post claims to have gotten its hands on the white version of the device, and has an array of unboxing photographs to go along with it. While we've already seen many of the Galaxy Note 10.1's specs a 1.4GHz quad-core processor, 5MP rear-facing camera, HSPA+ support, and a slot for its S Pen several items stand out here. Namely, the device is listed as having 2GB of RAM versus the 1GB we'd previously seen, and the tablet is also said to be able to act as a companion to your phone serving as a speakerphone and allowing users to send and receive messages with it as well. It's not clear just what technology fuels the latter feature, but we saw something similar with the TouchPad's use of the Bluetooth Message Access Profile (MAP), which allowed owners to send and receive SMS messages directly from HP's tablet. What we don't get with the information is a firm release date. However, with information flowing steadily now and Samsung hosting a Galaxy-related event on August 15th we imagine the Note 10.1 is finally about to start making its way to store shelves. At long last, the joint streaming video deal between Redbox and Verizon has gotten an official name. Say hello to Rebox Instant by Verizon. This morning the name turned out to be somewhat official when RedboxInstant.com opened its doors, but the site further down refers to it as “Redbox Instant by Verizon.” Hopefully that won’t be the full name that is used at all times because it’s just a whole lot of words to say. Currently the site just says “DVDs at the kiosk + Instant streaming hits, all in one fist-pumping package.” The most interesting bit of info on the site is that does list Shawn Stickland as the CEO. He also served as the VP of Verizon’s FiOS service and was heralded as one of the driving forces behind its success. This, to us, says that Rebox Instant has big plans, and a large portion of that is being driven by Verizon. There is no indication of how much this “fist-pumping package” will cost you, but you can enter your email address for future updates. It’s been less than a year since HTC made that massive investment in Beats Audio. But in case you haven’t heard yet, HTC has now decided to sell half of it’s 50.1% stake in the company, leaving it with only 25.57%. This comes after HTC released the HTC EVO 4G LTE and the HTC One Series with Beats branding, but without bundled Beats headsets. HTC is saying that this move doesn’t mean it values Beats any less. HTC will continue to work closely with Beats and continue to provide Beats functionality in future handsets. But, as the saying goes, money speaks louder than words it certainly seems like HTC is starting to think its massive investment was a mistake, especially since the company is still second to Samsung, with sales that just can’t seem to rebound to former levels. So, all of this made us wonder: what do you think of Beats Audio? Is it just a gimmick designed to sell more handsets and expensive earphones, or does it really add something special to a device’s audio experience? Sound off below, and let us know what you think and what your experiences have been of Beats Audio on your own phone. We've all dreamt of a better Android e-mail client, Google has announced today they have acquired Sparrow. Sparrow's been an iOS/OSX staple, and we can only hope it'll bring its talents to Android, along with Gmail at large. We're excited to announce that Sparrow has been acquired by Google! We care a lot about how people communicate, and we did our best to provide you with the most intuitive and pleasurable mailing experience. Now we're joining the Gmail team to accomplish a bigger vision — one that we think we can better achieve with Google. We’d like to extend a special thanks to all of our users who have supported us, advised us, given us priceless feedback and allowed us to build a better mail application. While we’ll be working on new things at Google, we will continue to make Sparrow available and provide support for our users. We had an amazing ride and can't thank you enough. We also want to thank our advisors and investors — Loren Brichter, Dave Morin, John Maeda, Xavier Niel, Jérémie Berrebi — as well as our friends and family: Simon Istolainen, Jérémie Kanza, Sacha Cayre, Cedric Gepner, Laurent Merlinot, Didier Kuhn, Christophe Baillon, Laurent Cerveau, Christophe Giaume, Sebastien Maury, Manuel Colom, Bertrand Guiheneuf and all of you who have helped us along the way. For all press inquiries, please email press@google.com. Are you a mobile electronic enthusiast? We at the "Phone Ninja" are looking for writers. If you are interesting in writing on our site please check-out our contact page and drop us a few lines. Not looking to write but want to have your tips featured on our website? We welcome your tips, visit our contact page and tip us off. According to sources at Fierce Wireless, T-Mobile has discontinued its “America’s Largest 4G Network” tagline after 18 months of use. As of July 10th, T-Mobile will no longer use the phrase “America’s Largest 4G network,” instead focusing on rivaling its competitors with speed in real-world tests. As of today, T-Mobile says their 4G network covers 220 million people in 229 markets, with Verizon’s LTE network on track to meet their goal of 400 US markets by the end of the year and AT&T recently announcing it covers 250 million people with its “4G” network, which covers both HSPA+ and LTE technologies. Following a publication from Vodafone Australia, which revealed the Android 4.1 Jelly Bean upgrade was coming soon to Samsung Nexus S users in Australia, we knew it was only a matter of time before other countries got it too. And today, the update is making its way around the world. Users on the XDA Developers forum are reporting that the Google has now begun its Jelly Bean rollout over-the-air for the Nexus S, and it’s already popping up all over the place including parts of Europe and Asia. The update weighs in at around 115MB. As soon as yours is ready, your Nexus S will let you know. But if you just can’t wait until then, you can download the ROM from Google’s servers and install it yourself. Of course, it’s best you don’t do this if you don’t completely understand how the process works, because you could cause all kinds of damage to your handset, rendering it unusable. And if you do, be sure to backup your data. Have you received your Jelly Bean update for the Nexus S yet? Be sure to leave your comments below! Up until now, HTC had been silent on the subject of Jelly Bean updates, and the news is doubtlessly welcomed by the legions of One series owners out there with brand new devices. Unfortunately, the company's omission of the One V from the list doesn't bode well for that device's prospects. A Russian developer has published a way to circumvent Apple's in-app purchase system, allowing users to "buy" items without paying in iOS. The method, which involves installing a pair of security certificates and then changing the DNS record, does not require jailbreaking or specialized knowledge, and it allegedly runs on anything running iOS 3.0 to 6.0. It looks to have been picked up first by Russian site I-ekb. The video below shows it in action, 9to5 Mac has confirmed that it worked for them, though comments on I-ekb indicate not all apps are susceptible. Users of the trick, meanwhile, are giving up something of their own: 9to5 Mac reports that some device information and the user locale are pulled when using it. That's not unusual for a developer, but in this case the project's general unsavoriness makes it unclear what else is being collected and how the information is being used. For Apple, this could indicate a major problem, even if it's fixed quickly. In-app purchases are a huge driver of app revenue, and this trick doesn't rely on heavily modifying the system or doing anything that the average user would find too threatening. We've reached out to Apple to see if it's aware of the issue, but it's unclear how well the tool is working now anyways: its creator is currently soliciting donations to keep the servers that power it running. 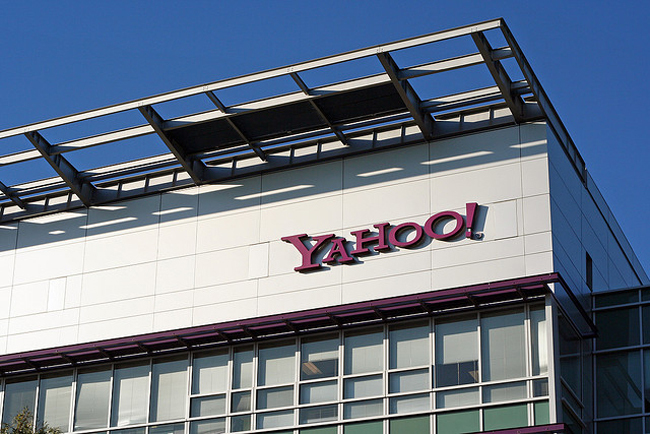 Security firm TrustedSec has found that more than 450,000 passwords have been exposed after a successful hack into Yahoo’s Voices website, the Guardian reports. Voices, formerly known as Associated Content before being purchased by Yahoo in 2010, is a news and analysis site that relies on user-generated content. The big problem with this particular hack, the Guardian says, is that “the passwords for the accounts were not encrypted meaning that any hacker could scoop up the emails and immediately start using them against other services, including Yahoo Mail.” TrustedSec says the hack was executed using SQL injection attacks that are commonly used to hack into databases. At 12:00 p.m. EST, “Amazing Alex” hit the No.1 iPhone paid app position in America; eight hours is possibly the fastest move to No.1 ever by a non-franchise, non-movie tie-in app. 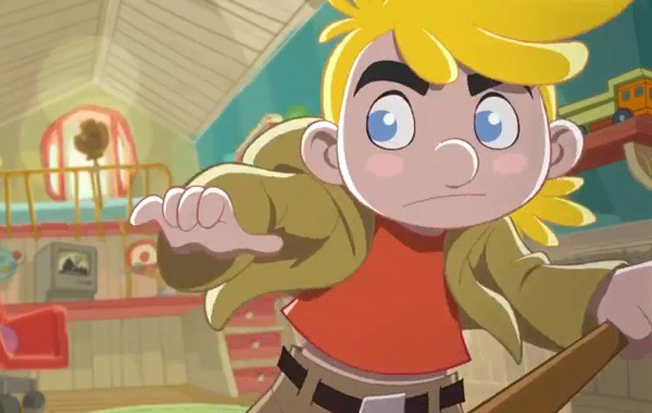 Amazing Alex arrives on iOS and Android more than two and a half years after the “Angry Birds” series launched in December 2009 and proceeded to rack up 1 Billion downloads across smartphones, tablets and computers. The competition in the mobile gaming market is far harsher than it was two years ago, and Rovio is taking a risk with its new game. Angry Birds was fast, kinetic and dumb. Its appeal was universal because it demanded very little from players. Amazing Alex is slow, static and smart. It is based on the famously difficult “The Incredible Machine” brain-twister an MS-DOS smash hit from back in 1992. 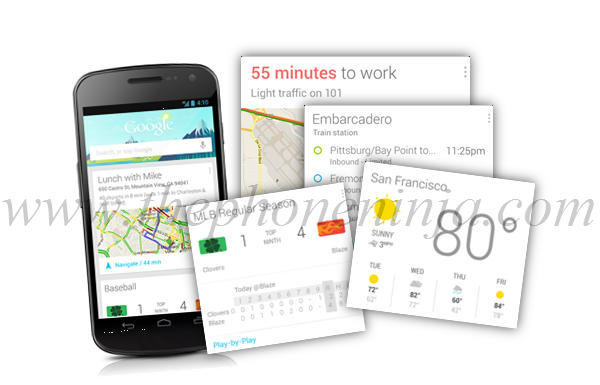 Google Now is a product/platform that really excites us. We can't say for sure that it will live up to the potential, but if it can, it could be something pretty special in the new field of intelligent push. Of course, Google didn't build this product alone, there was a long, strange journey to get here. Where Siri was a product that had an identity when Apple bought it and reimagined it for iOS, Google Now has been something of a Frankenstein monster pieced together from a number of products some built in-house, some acquired, and some built by personnel hired specifically for the job. There is a bit of an argument about this whole process, with some claiming that Google Now is better than Siri because it was built "from the ground up" by Google, whereas Apple just bought Siri. It's all a silly argument based on geek pride, but it did get us looking into the process by which these products came to be what they are. Of course, what these products are is something of a trouble spot as well, because people insist on pulling both under the heading of "personal assistant", and trying to compare them as similar. Such comparisons fall flat for us because "personal assistant" is too general a heading. A bike and a jet are both "transportation devices", but that doesn't mean it's a good idea to compare them. In this case, Siri is a tool for finding information and organizing your life, which is based on active participation. Google Now is a tool not only for finding info and organizing your life, but more importantly it is a platform which will passively learn your behavior and interests in order to have relevant information ready for you, without the need for actively searching. Sure, there is overlap in what these two products do, but that doesn't mean comparisons are necessary, or even useful. We can't really get behind the argument that one way is better than the other, because it quickly becomes a slippery slope. The problem is that at some point, an acquired product can't be attributed to the original creators anymore, even when the original creator comes along in the acquisition. The prime example for us is Android itself. Android was created by the Android team headed by Andy Rubin, then acquired as a fully functioning product by Google. Andy and the team still work for Google, but Android has become a wholly Google product. Similarly, Siri was bought by Apple as a fully functioning product, but to say that was the same app that now anthropomorphizes the iPhone just isn't correct. As a standalone app back in 2010, Siri could make restaurant reservations, book movie tickets, get a taxi, find info or weather. Some of the functionality had to be removed from the app when Apple bought it, because Apple wasn't going to use services like Bing, Yahoo, or Google for search results, but in place of that functionality, Siri got deep integration into iOS, meaning options for scheduling, reminders, calling/messaging contacts, playing music, and dictation. As Siri matures, it is gaining back some of the partnerships that Apple ditched, but gaining more valuable partnerships along the way. Although key partnerships with services like OpenTable and MovieTickets are still missing, Yelp and Wikipedia are in the iOS version of Siri, and the biggest addition is in the partnership with Wolfram Alpha as a big knowledge base. The point is that for better or worse, Siri is nowhere near the same app that it was when Apple purchased it. Sure, the backbone of voice recognition powered by Nuance is still at the center of Siri, but what the app can do has changed dramatically. What we see in iOS is no longer the product of the Siri developers simply purchased by Apple and stuck into iOS, this is an Apple product with features and uses dictated by Apple. Where Apple has partnered with Nuance and its Dragon software for the speech recognition behind Siri, Google has taken the last 5 years to build its own speech database. That project began with the hiring of Mike Cohen in 2007. Cohen was actually a co-founder of Nuance. He spearheaded the Google initiative to build a speech recognition database, which began collecting data through GOOG-411 in 2007 the free place information service Google once ran before getting a ton of data through dictation and voice actions on Android over the past 2 years or so, not to mention contributions from Google Voice and its terrible voicemail transcriptions. Cohen left Google earlier this year, but the speech recognition work will go on. On the other side of the voice coin, Google also needed a nice voice to respond to users just like Siri does. Luckily, Google had purchased Phonetic Arts back in December of 2010. That purchase was originally made to make robo-voices sound better in Google Translate, as well as the accessibility text-to-speech option found in Android. Phonetic Arts did a lot of work making robo-voices sound better, and that technology has come in very handy with Google Now, because it does sound like the assistant voice is smoother than Siri. As the voice database was growing to a sufficient level, Google also needed to beef up search results. Flight information is gathered via searchable results from flightstats.com, but eventually, Google could move to its own information repo which it purchased in the form of ITA Software (acquired July 2010). ITA Software now powers Google's Flight Search for tickets, and that could easily become part of Google Now's results. Place results, which are a huge part of any mobile search product (because more and more "mobile" really just means "local") have also gotten a boost from a couple choice acquisitions. Google hired the entire team behind Ruba.com (acquired May 2010), an online travel guide, in an effort to give local results a boost. Then, more recently, moves to purchase Clever Sense (acquired December 2011), makers of local recommendation app Alfred, and restaurant guide Zagat (acquired September 2011). Google notably had a falling out with Yelp, and the purchase of Zagat was the answer to that loss of local data. Possibly the biggest acquisition of all was Metaweb, which Google purchased in mid-2010. Apple of course has to partner with information services like Wikipedia, Wolfram Alpha, and Yelp, but it's Google's business to provide organized data and knowledge to users, and Metaweb is the future of that endeavor. Metaweb just recently made its debut within Google in the form of Google's Knowledge Graph and Semantic Search. Now, rather than searching for keywords, we're searching semantic objects, which means there should be better differentiation between homographs so Google now knows whether you're searching the meteorological "thunder" or the NBA Thunder. These results have shown up in the Knowledge Graph block to the right of standard results. These blocks of information have all made the pretty easy transitions into being "cards" in the Google Now UI. And, on that topic, we have to mention the hire of Matias Duarte in May 2010, who has been one of the strongest forces behind getting the traditionally engineer-oriented Google to make well-designed products. Matias has always loved the "card" metaphor, and so we feel pretty safe in assuming the cards in Google Now were his idea. For those of you that ever used webOS, you know that cards were a central metaphor of that platform (designed by Matias), then we saw the multitasking menu of Android change to cards when Matias arrived and now we get the cards of information as part of Google Now. The information side of Google Now is pretty strange to follow, but the learning side of the platform is actually pretty easy, because it uses two things that Google has been cultivating for a long time now: web history and location services. Web history encompasses both your search history, and any visited pages from those search results, where location services is obviously looking at where you spend your time and where you travel. If you have an Android phone with location services enabled, Google probably already knows where you live and where you work, and all of that data can easily be found on your Latitude dashboard note: this is all private data that only you can see, Google doesn't share it. When you combine that location data with your personal calendar, and Google's ever expanding navigation options for driving, public transport, walking, and biking, you get a pretty powerful data set that only needs a bit of a nudge to predict what information you may need at a given time and place. We can't say that Google Now was completely built in-house by Google any more than Apple built Siri in-house. Both took very different development paths because of the nature of the product, the nature of the respective companies, and the resources available to each company. Google is a software company that has been working hard for years to learn who you are as an abstract entity, not as an individual, while Apple doesn't have that information to leverage and had to build a product that can essentially start to harvest that data. As we said before, we fully expect Siri to continue its transformation, and eventually become an intelligent push service like Google Now, but whatever the end point, the journey of Siri becoming a fully realized product is much cleaner than Google Now. Apple has always tended to work from a centralized format, creating one singular product designed for a purpose within the larger whole of the Apple ecosystem, while Google is a far more messy affair. Google captures various services and products for a number of different reasons, and may not always have an overarching plan to bring everything together. Since Larry Page has stepped into the CEO office, that has begun to change, but it can still be a pretty long and windy road leading from products, acquisitions, and hires into a cohesive platform like Google Now. Sprint’s version of the Galaxy S II, also known as the Samsung Epic 4G Touch could be getting the Ice Cream Sandwich update starting this week. 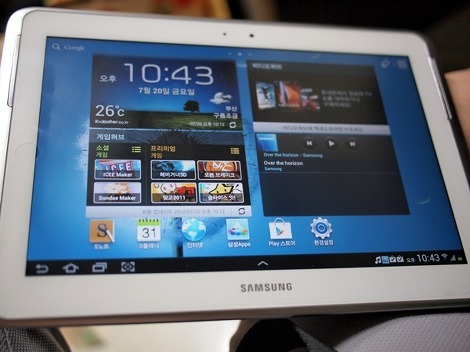 An image/screenshot sent to Android Central suggests that Sprint and Samsung are in the works for the Android 4.0 update for the smartphone. If this new revelation is anything to go by, the update roll out will go live on July 12 and all the way through next week. .
CEO Thorsten Heins confirmed what many have been hoping. BlackBerry Messenger will utilize the Video Chat feature. We caught an earlier glimpse of this in BlackBerry 10 demo video showing the Video Chat feature available while in call with another BlackBerry user or while viewing their contact information. It will be really interesting to see how the video chat feature works. Perhaps RIM will allow for multiple video chats to occur while in a group? If you’re an owner of the PlayBook, you’ve likely already witnessed how the Video Chat feature will work. Verizon has announced a new edition to its BlackBerry lineup this morning in the form of the BlackBerry Curve 9310, an entry-level handset that will be available from Thursday, July 12. This is the CDMA variant of the BlackBerry Curve 9320, which was announced by Research in Motion back in May, and it ships with the same BlackBerry 7.1 operating system, along with that dedicated BlackBerry Messenger key. It also packs a 2.44-inch QVGA display, 512MB of RAM, and a 3.2-megapixel rear-facing camera with LED flash. Internal storage is only 512MB, but that can be expanded by 32GB via a microSD card. As you’d expect, Wi-Fi, GPS, and Bluetooth are also onboard. There are a few things that the BlackBerry Curve 9310 has over the 9320, however. VZ Navigator will give Verizon subscribers free turn-by-turn navigation, and the built-in parental controls will allow you to restrict certain features if you’re buying this handset for one of your offspring. The Curve 9310 is available from $99.99 on Verizon, but that can be reduced to $49.99 with a $50 mail-in rebate. That doesn’t sound too expensive until you take the monthly fee into account.SlashGear notes that for unlimited texts and just 300MB of data, you’ll need to spend $80 a month. This is significant for several reasons: first, it’s a very public recognition from Google that it’s aware of the problem and already has a solution in mind. Second, we finally have a timeframe in which we can expect a fix, even though it’s still somewhat vague. And third, we have semi-official confirmation that the EVO 4G LTE will indeed get an OTA update in July. Granted, there’s still three weeks left in July, and Sprint also doesn’t have the best track record with OTA updates as of late. But in any case, Google seems confident that the problem will be fixed before the end of the month, and while I still think that this whole debacle was absolutely ridiculous and completely unprofessional, it looks like it will all be over soon. Android Open Source Project technical lead Jean-Baptiste Queru has announced the source for the newest version of the OS, Android 4.1 Jelly Bean will be made available today. Currently, binaries are available for the Nexus 7 and Galaxy Nexus, with Nexus S and Motorola Xoom versions promised soon. As usual, this gets the countdown started for more manufacturers to work on builds for their devices and means third party coders like CyanogenMod can dive in as well. One other thing we should be used to by now is a warning that it still may take some time for things to go live as the code is replicated. Hit the source link for all of the information on the latest build or hit the AOSP site for more information what exactly this is and how to get it. AT&T's announced that it will bring Motorola's big and skinny slab to the US later this month, while Bell will do the honors in Canada "this summer." Priced at $99, the Atrix HD will tie together LTE connectivity with a 4.5-inch 720p display, available in both Modern White and Titanium colors. Better still, it's all arriving later this week, on July 15. If you're thinking about becoming an early adopter then you'll want to move quickly, as a free Vehicle Dock will ship with each one for a "limited time", designed to work perfectly with the included Smart Actions. Finally, this is the first phone to feature Motorola's "circle widget" on the home screen, designed to take owners directly to their AT&T account info, displaying data usage, battery status and more. As webOS Nation has discovered, the design firm Transparent House posted a brief clip of a device described as "WindsorNot" some eight months ago, which is very clearly a touchscreen only webOS smartphone. As the site notes, that appears to be the very same device that had previously turned up in leaked photos under the codename "Stingray," and it estimates that the phone has the same 3.6-inch screen as the Pre 3. Details are scarce beyond that, but you can get a good look at what might have been in the video after the break not to mention yet another look at the unreleased TouchPad Go (a.k.a. Opal) on Transparent House's Vimeo page linked below. Be sure to leave a comment, let us know what you think.